AGONAsport brings you a new feature with this first article in our AGONAsport Legends series. This new section will highlight the life and achievements of those athletes who have made significant contributions to Greek sport over the course of their respective careers. Our first piece is focused on former footballer and manager Kostas Polychroniou, who passed away last week at the age of 81. The entire Olympiacos family and Greek football in general mourned the passing of former player and manager Kostas Polychroniou last week, who succumbed to cancer at the age of 81. Polychroniou was a real servant to Olympiacos, not only in his 15-year playing career, but also as a manager for the club in the 1990’s. There are higher profile names than his from the talent-rich football of Greece in the 1960’s, but delving further into his story one can truly appreciate the impact Polychroniou had, both at club and international level. Kostas Polychroniou was born in Platanistos, Euboia on November 12th, 1936. He was a true one-club man as a player, joining Olympiacos in 1953 and remaining with the club until his retirement in 1968. He began his career as an attacker, but soon found his natural place to be as a defensive midfielder. His time in Piraeus was very successful with respect to trophies as he helped lead Olympiacos to six league titles and eight Greek Cups. Polychroniou was with the Erythrolefki in some of the biggest moments in their football history. He was a part of the side that faced off against AC Milan on September 13th, 1959 in what was the club’s first ever appearance on the European stage. For all his achievements in competitive matches for Olympiacos in Greece and in Europe, Polychroniou is perhaps best known for what he did in one single friendly match. Brazilian side Santos embarked on a lengthy European tour in 1961, playing a series of friendly fixtures against top sides across the continent. 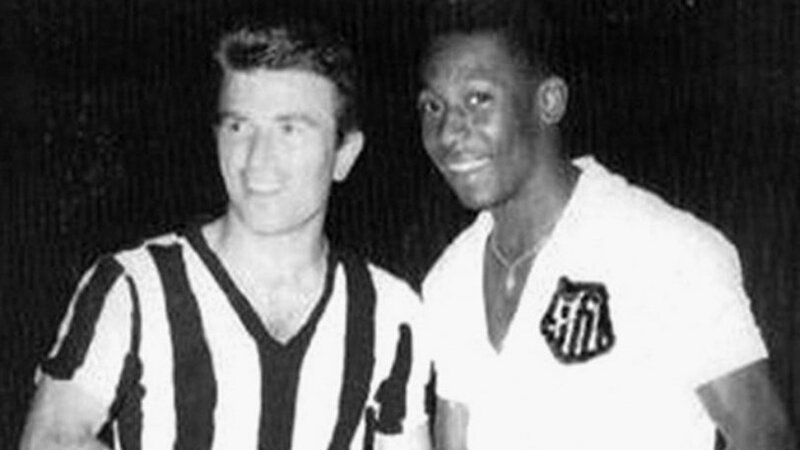 That Santos side had loads of top talent, including Pele, so their matches in Europe drew great interest. That particular team was considered one of the best clubs in football history. And they were undefeated in their tour heading into the final few matches. On July 4th, 1961, Santos played against Olympiacos. Earlier that week, the Brazilians had played AEK and Panathinaikos, defeating them 3-0 and 3-2, respectively. Olympiacos sent a shockwave throughout Greece and Europe when they were able to defeat the star-studded South Americans 2-1. “Santos played AEK and Panathinaikos first. I was sitting next to Dzina Simonovski watching Pele in those matches. I told him when we play I am going to only mark Pele. He told me even three players were not able to stop him. However, on the night we played I was Pele’s shadow. I saw something that no other coach had seen. Polychroniou’s performances early on with Olympiacos opened the door for a call-up to the Greek national team. He made 27 appearances for the Ethniki over a ten-year span from 1957-1967. His first cap came on May 5th, 1957 in a 0-0 draw against Yugoslavia in a qualifier for the 1958 World Cup. It’s somewhat surprising that Polychroniou made less than 30 caps for Greece, however it must be stated that the national team during that time period played fewer matches per year than today. Recognizing that, Polychroniou was indeed a stalwart for his country, missing barely fifteen national team matches over the course of that decade. After stepping away from the game in the late 1960’s, Polychroniou took some time before taking on his first few coaching positions. He ended up with stints at Larisa, Rodos, and Doxa Dramas. He was successful in leading all three clubs to midtable finishes, far from the relegation zone. Less heralded moves to Apollon Smirnis and Levadiakos followed. In the early 1990’s he was appointed as head coach of the U-21 national team. He spent a year with the ‘Elpidon’ before making the big switch to Olympiacos. In his one season as a manager in Piraeus he was not able to bring home a title, however history rates his time kindly as he led the team to 3rd place, losing only twice the entire season. Only a string of draws kept his team from challenging for the league. In 1994, Polychroniou took over the job he would be most remembered for, coaching the full national side. He took over the team in one of the worst time periods in its history. The Ethniki were coming off a full-scale debacle at the 1994 World Cup and not only was player morale at its lowest level, but so wasn’t public interest in the team. Polychroniou slowly put together a very competitive side, one who played some decent football and knocked on the door of qualification to the 1998 World Cup in France. The Greek team just missed out on a second consecutive World Cup after a 0-0 draw against Denmark in their qualifying finale. It was a match that will long live on in the minds of Greek supporters as the team were superb, creating several big chances, but ultimately failing to score the goal that would have given them the vital win. Polychroniou coached Greece for four years, compiling a record of 17 wins, 6 draws, and 11 losses. After leaving his post, he finished off his career with short stints at Ionikos and Paniliakos. 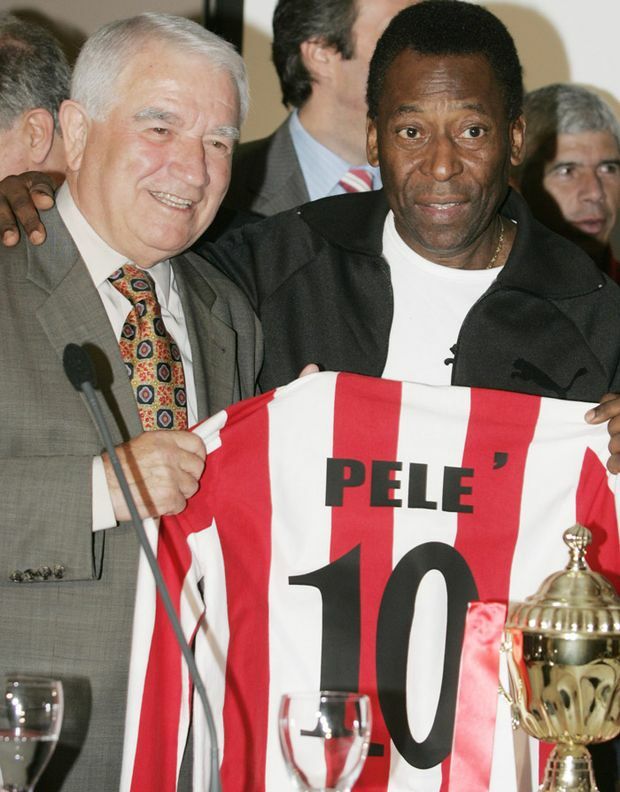 An entire career spent at Olympiacos, a solid performer at international level, and the man who “took apart” Pele as the newspapers from the time stated; Kostas Polychroniou’s legacy as a player in Greek football was always guaranteed. As a manager, he went a step further by rebuilding the national team from the ruins of USA ‘94 and also awarding several of the members of the future EURO 2004 winning team their first caps for Greece. 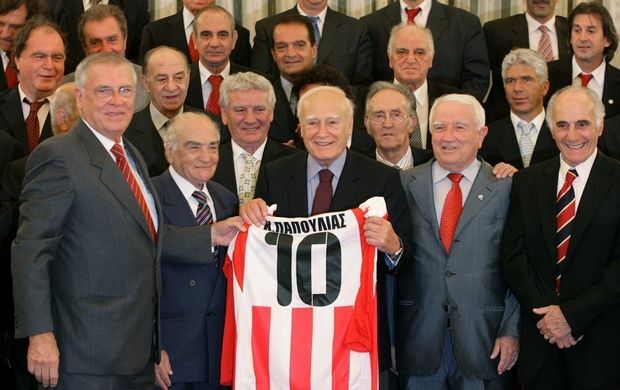 Polychroniou’s passing has been a real loss for the Greek football family. However, he will always be remembered as a superb footballer and a coach, who though he didn’t win titles, performed very well in jobs with high degrees of difficulties (small clubs, the ‘petrina’ years at Olympiacos, and the state of the Ethniki in 1994). Polychroniou, the player and the manager was a name that won’t be forgotten in Greek football. Of more importance though, might be the character he showed during and following his career. The tributes that have poured in over the last week have painted the picture of a man widely respected and admired by all those who came into contact with him.